Today’s Flash Back Friday comes from Episode 99, originally published in July 2012. 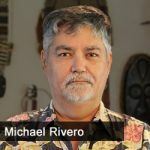 Since that sudden beginning, Michael’s website has expanded to cover diverse topics including the JFK assassination, the accidental shoot-down of TWA 800, election fraud, health issues, Saddam’s non-existent nuclear weapons, 9-11, the economy, and of course, the lies used to trick the United States into wars of conquest on Afghanistan, Iraq, and now Iran. Michael is the webmaster of whatreallyhappened.com and host of the What Really Happened radio shows on the Republic Broadcasting Network.